By Daniel Pataki in Mobile. Updated on November 1, 2017 . 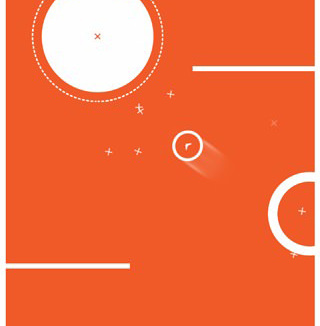 I have to confess, I love minimal iOS games. I enjoy the cleverness needed to create something engaging, yet so simple. While I like elaborate games like Civilization, there is so much content and depth it actually seems easier to make something great. 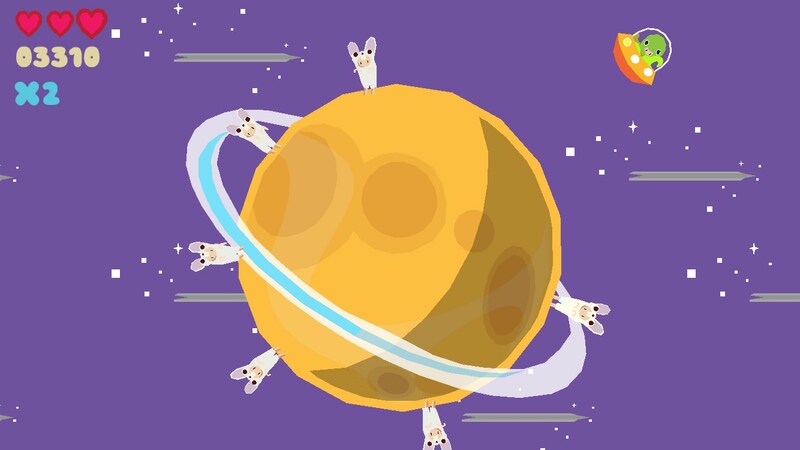 With the limited resources and screen real-estate of iOS devices, simpler yet well-made games are in the forefront. In this article I’ll show you some of my favourite ones. I tried to put in a fair mix of free and paid games, although I am personally a strong believer of paid apps. I think ideally all apps should be free – so anyone can benefit – but those who have the means should pay for them. Until then, I think that supporting excellent games by paying for them is the best route to take. Into the Circle has a perfect difficulty progression curve, a pleasant design and is impossible to put down. I grabbed my phone just now to take a screenshot and I ended up playing for 10 minutes trying to beat my high score of 411. The aim is to get your puck into the target area. The aim goes left-right, you need to press down at the correct time to get the puck in the right direction. The longer you press down, the harder your “throw” and the farther the puck will travel. The app is mostly ad-supported and you can buy stars that allow you to resume the game if you don’t make it to the target. If you don’t mind the occasional video ad which takes away 15 seconds of your life this game is perfectly enjoyable without buying stars. 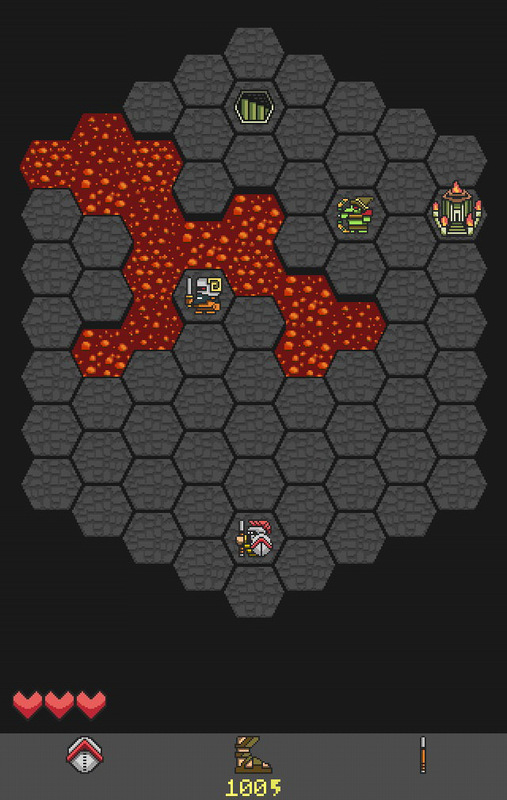 Hoplite is an example of a game I probably wouldn’t have bought without the overwhelmingly positive reviews out there. While not super-expensive, at $2.99 it sounds a bit pricey for a simple chess-like game. Thank goodness I was swayed by the review — it is one of the best puzzle/dungeon crawler games I’ve played. The aim of Hoplite is to get your character through each level of a dungeon. Along the way you’ll progress by selecting various abilities that will give you an edge over enemies. Where hoplite shines is way you interact with enemies. You need to position yourself just right, especially in later levels. You might be able to kill two enemies with one blow now, but that might mean you’ll get hit by an arrow by a third enemy. Some skills allow you to get rid of minions by moving around them, jumping next to them, throwing your speak, etc. Once you’re through the first 5-6 levels you’ll be taking extensive thinking breaks while you figure out your next move. MUJO is a refreshing take on the tile collection genre. It adds RPG elements by allowing you to level up your three heroes or even replace them with new ones periodically along the way. The goal is to kill the monster which you can do by inflicting hit points by collecting swords. Hold 3 or more to create a stack. You can keep on stacking to gain big points. Finally, tap three or more to expend the accumulated hit points and damage the monster. You can stack other types of tiles giving you different bonuses, and use your unique hero skills to affect the board. In-app purchases can give you more lightning (which can be used to open chests/get rid of tiles) but you really don’t need them in order to enjoy the game. MUJO is a game where I get the feeling that the creators wanted to make a great game first and make money second, not the other way around. The music is crazy addictive; it will stay in your head for hours. You’ve been warned. Noodles! is a rehash of a familiar concept – join together branching tubes to create a closed system. You earn points based on the number of moves and the time spent on each puzzle. The familiar concept is executed in a visually pleasing manner with nice, smooth pastel colors. 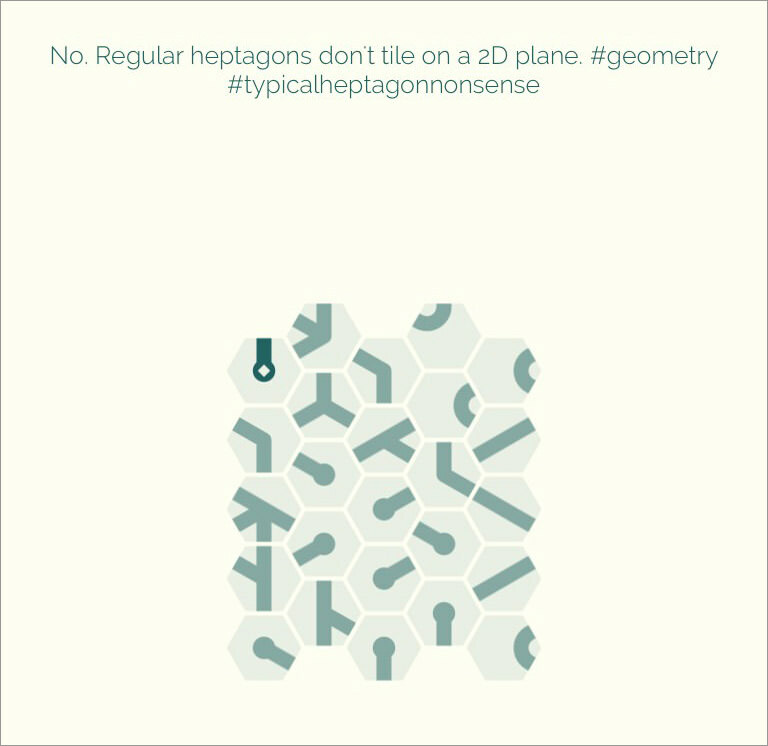 Some variation is added by different shaped tiles — hexagons can be confusing! I like the zen nature of this game and since it’s a paid app there are no distracting ads or in-app purchases to worry about. Larger outlets haven’t reviewed it yet but smaller blogs seem to like the game universally so far. Tangram is a very old game, supposedly dating back more than 1,000 years to the Song Dynasty in China. The goal is to match an outline with seven shapes which cannot overlap. Sounds easy, but some puzzles can be devilishly difficult. Zengrams adds a mind-bending layer to this by actually allowing overlaps – in fact, it requires them for many puzzles. The final goal in zengrams is to match the outline of the shape on the board. The colors of the tiles you use doesn’t matter as far as filling out the shape, but they gain new meaning when you make tiles overlap. You can split and combine shapes to create new shapes which you can move independently. The genius of this mechanic is that sometimes it’s a huge help but sometimes it hinders you — you have to find a way around splitting shapes because you have a limited amount of moves you can make. Download: iOS ($1.99) | Android ($2.33). A game of skill which only requires you to move a dot in a 3×3 grid sounds like it will either be crazy hard or way too easy. Smove manages to find middle ground, up to maybe level 4-5. 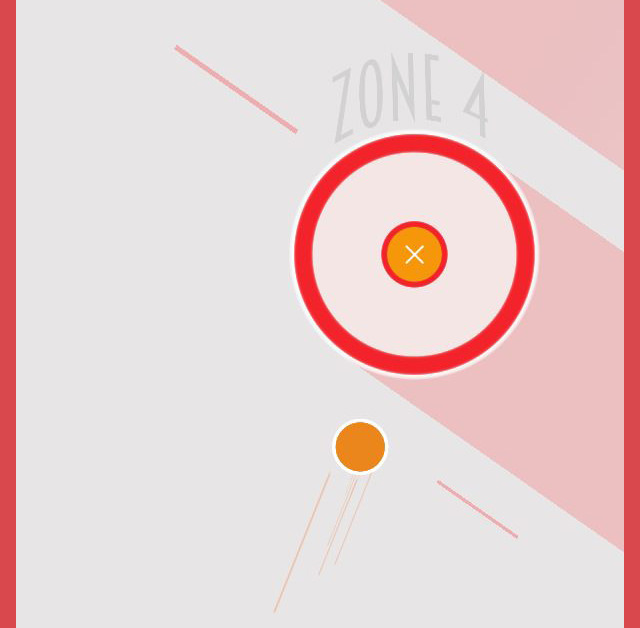 You control a white puck on a 3×3 board, your goal is to grab the square which is placed in one of the cells. While trying to get to the square you’ll need to doge the evil black circles racing toward you. It starts off nice and comfy but gets more difficult after every tenth successful retrieval of the square. Smove is not a game for the long haul, I don’t think you’ll find yourself playing it consistently for days on end. It is however a great distraction for standing in line, waiting for someone to get ready or just a quick fix during the day. 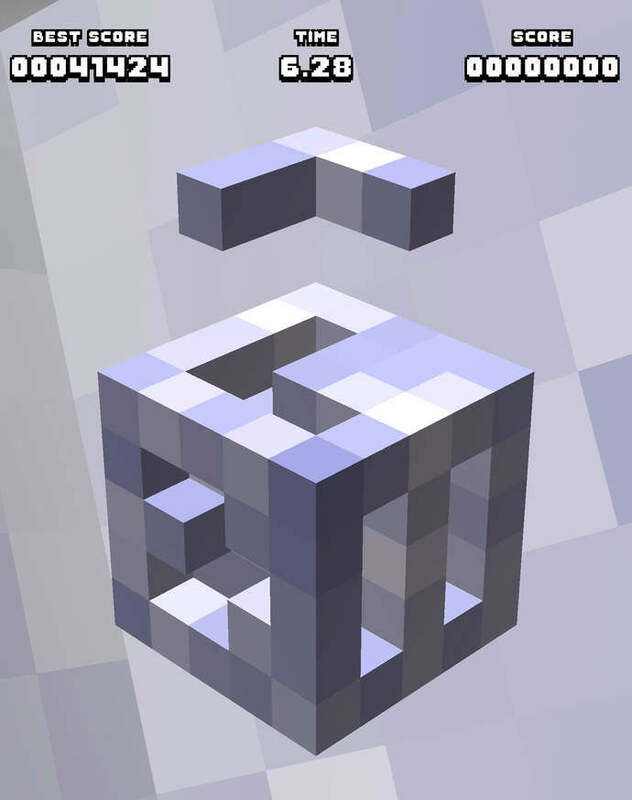 This game is all about spacial navigation: the goal is to complete a cube by placing the shapes inside the correct holes. It’s exactly like those shape recognition games for toddlers but much, much harder. Your cube has a shape missing on each side. On the top of the screen you see a shape and you need to rotate your cube to get the correct hole on top. This would be easy enough if you wouldn’t run out of time really, really fast. Time counts down continuously but you gain time for fitting each piece. If you fit the pieces by rotating the cube horizontally, you gain 1 second; if you rotate it vertically from the front, you gain 2 seconds, and from the back, you gain 3 seconds. This game frustrates me more than any other on this list because of the time crunch combined with the “I almost had it” factor. Sometimes you know where a piece would fit but you just can’t seem to rotate the cube there. In other words: I’m horrible at spacial navigation. 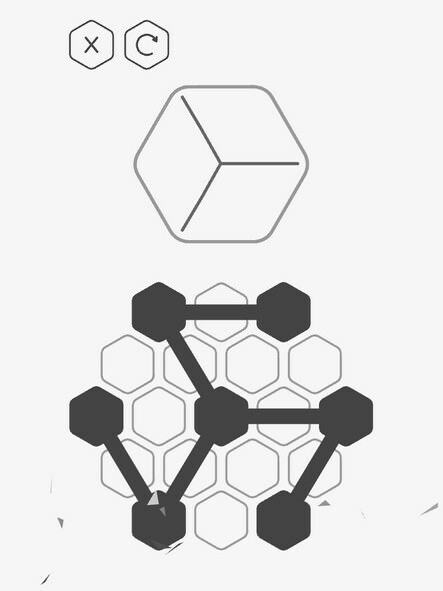 rop is a minimal puzzle game where you have to create a specific shape with the help of a rope. It’s a very zen experience which is achieved through visual, game and sound design. 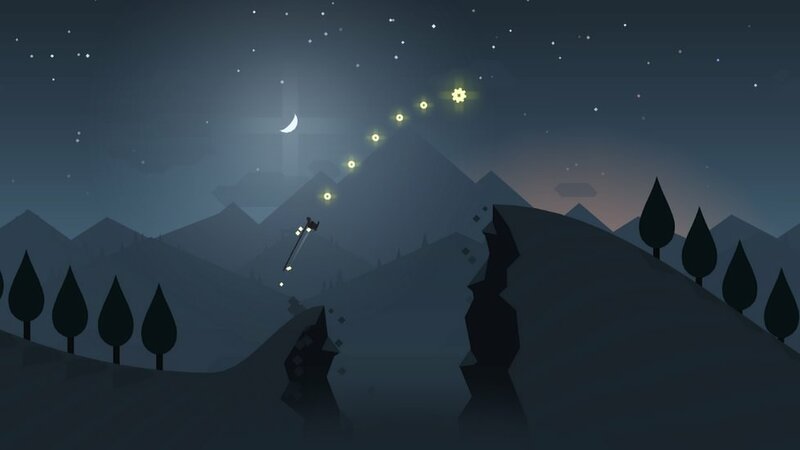 The visual design is mellow monochrome, the sound design features a meditative soundscape with subtle tings indicating actions, and the game design is completely chill with no time or move goals. The single detracting thing from it all is the comparatively loud shrill the game emits when you try and place two junctions on the same tile. Making the patterns is a matter of untangling your rope, figuring out which junctions to put where and how some ropes should lay over others. All in all, it’s a very pleasing combination. This isn’t the best game on the list but it’s the one I’ve played most. I love rhythm games but very few have been well executed so far. Planet Quest somehow defies all logic for me. It has a quirky art style which I don’t particualry like on its own, there is no licenced music in it and some of the levels, like the metal planet can be downright evil. Somehow, putting all this together just works for me, it’s a game I can’t put down. The music in the game is catchy and is wildy varied. After a few weeks of playing every day I still heard unfamiliar tunes in there. For me the difficulty level is also just right. You’ll need to have a decent sense of rhythm to stand any chance in this game and as you survive for longer and longer, the music speeds up. Puk is similar to Into The Circle from a game mechanics point of view, yet is a quite different experience overall. Pull back your puck, aim and release to hit your targets. Targets vary in size, number and position, sometimes hiding behind walls. On most levels you’ll have more than one puck and target and you have a limited time to get them all. The game is utilitarian, a dual tone orange/white color scheme dominates with simple lines and circles making up the majority of what you see. It can be a little repetitive but overall it provides a lot of fun. I find myself coming back to Puk every few months for a new round!